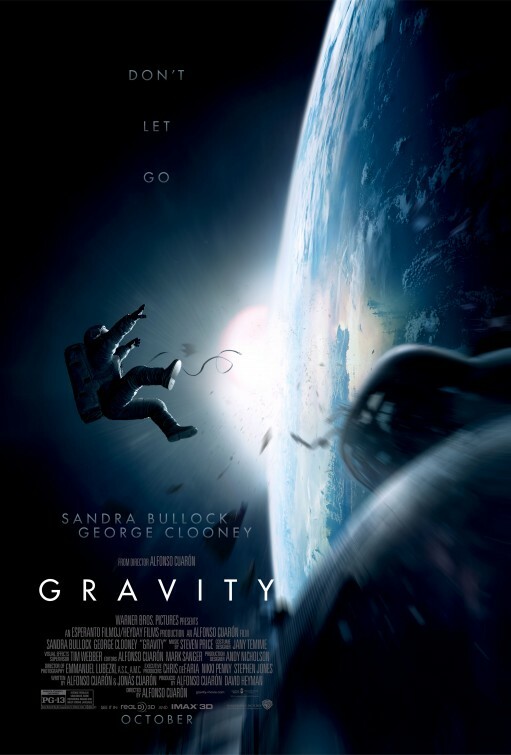 Being a film so deeply rooted in movement, Alfonso Cuarón’s Gravity could be more accurately retitled “Inertia,” but it will quickly earn its name as it draws no end of hyperbolic praise into its orbit. With that in mind, let’s get some of that out in the open right away: Gravity is absolutely great. A towering triumph of art synthesized from technology, Gravity is the film that finally pays off so many cine-utopian promises of the last decade. The years of hype surrounding endless filmmaking technologies like CGI, mo-cap, motion control, 128-track audio, digital capture and, yes, 3D have all come into focus and been paid off at once in an unprecedented cinematic experience wrapped around a quietly meaningful tale of human endurance. And the whole thing is so, so simple. I’m not interested in spelling out how the film fills its brisk 90 minutes- at least anything past the image of Bullock whirling through space so terrifyingly used to tease it. What is interesting to bring up is the scary and real “Kessler Principle,” postulated in the late 70s by a NASA scientist. The idea is that the presence of so much junk in low earth orbit creates the possibility of a debris collision sparking a chain reactive cascade of colliding objects. The most terrifying conclusion of such a scenario would be an effectively perpetual feedback loop of ricocheting debris encasing Earth. In Gravity, an event of this sort occurs, obliterating a mission to affix the Hubble Telescope with some equipment Dr. Ryan Stone (Sandra Bullock) has developed. Hastily trained as an astronaut to assist with the mission, Dr. Stone finds herself caught in a weightless nightmare in the least survivable environment in which mankind has ever found itself. As rumored for years, the opening of the film is the ultimate “oner,” a cavalier term often applied to scenes captured in one shot, or at least featuring no visible edits. This is no cavalier sequence, however, as a beautiful view of earth slowly reveals the small crew of astronauts mid-installation-procedure. Team Leader Matt Kowalsky (George Clooney) floats about the scene with a prototype propulsive backpack (space jetpack! ), exuding the same glee Cuarón and D.P. Emmanuel Lubezki must have dripped with as they crafted the camera’s movement in the scene. Divorced from all physical restrains, the camera guides us into the film’s story with an un-cutting dance around the orbiting objects and characters while passing in and out of character perspectives at will. This quickly familiarizes us with the barely-contained anxiety of Dr. Stone. As Kowalksky revels in zipping around through space untethered, Stone fights down her apparent discomfort as she installs equipment, all while “Houston” remotely bugs her about her stressed-out vitals. There may be no advice more frequently shared between humans than “don’t look down,” but what does one do when “down” is literally every direction? Stare intently at the bolt you’re unscrewing and try to ignore the PLANET reflected in the screen of your helmet, that’s what. Right away Bullock conveys this simmering nervousness with a great subtlety and care befitting the storied actress. That restraint means tension for us, and when it all goes to hell we feel the primal terror right along with her. The stitching and compositing and other digital tricks in this sequence are seamless, creating the most mind-bogglingly convincing portrayal of being in space ever presented short of genuine NASA footage. In fact, with a “camera” able to do things no real camera can do, I’d happily argue this film does even more to create those weightless sensations than real footage is perhaps capable. This is a legendary sequence, and it is one of many such staggering moments in the film. When viewed in ideal circumstances –large-format, brightly-projected 3D bolstered by Dolby Atmos surround sound– this sequence (and many others in the film) easily stands among the great cinematic achievements in inspiring awe, such as –dare I say it?– 2001: A Space Odyssey. 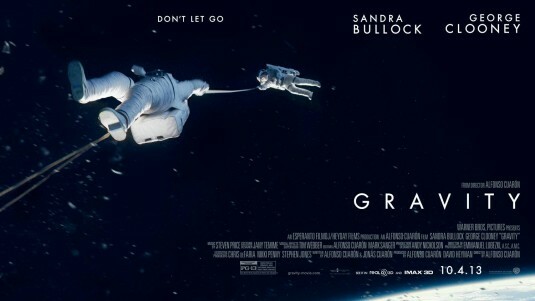 If you were ever to take heed of a humble critic’s pleading that you see a film in the most ideal circumstances available to you, I implore you to do so for Gravity. If there’s a “just trust me” chip I can cash in, I confidently redeem it right here, right now. But despite unfolding in the weightless environment of space’s vacuum and being a technical triumph, the film itself is not a weightless affair. Dr. Stone’s deeply alarming attempt to escape a disaster circling Earth at 20,000 kilometers per second (or whatever) is really a story about coping with trauma. Perhaps the film’s title is less about a natural space-time phenomenon than the unending force trauma can apply to a person, even once said trauma has passed. Severe tragedies and painful loss undoubtedly exhibit a sort of gravitational pull that is, in some cases, forceful enough to ensnare even the strongest of people in very dark, cold, lonely places. Rescue, relapse, and struggle all play their part in any road extending out from catastrophe –be it emotional or cosmic– and such is the case with Gravity. Survival, woman-against-nature allegories are perhaps our most primal way of dealing with the wide variety of anxieties and stresses we face as human beings aware of our own dreams and nightmares. It’s fitting that such an intensely complex technical exercise is built around so simple a tale. There’s a rich streak of spiritual and emotional subtext woven into the film, Cuarón’s graceful hand allowing small symbols and the overall structure to speak where dialogue can not. Recall images you’ve seen of astronauts gently prodding an object floating in space, the slightest of pokes and prods sending them here or there. Such is the allegorical content of Cuarón’s script (written with his son, Jonás) and the film’s overall approach to its simple, strong arc. It’s overwhelming to imagine the challenge laid in front of Sandra Bullock as she took on this role, but the actress proves that her past accolades are well-won. Free as the camera of Gravity is, it never strays far from the face of Dr. Stone. Bullock renders what, for most people, would just be a long series of blood-curling screams and inconsolable weeping as a nuanced exploration of fear and believable determination. Don’t get me wrong: she certainly curses and screams, and there are moments of small triumph and everything in between. Expect no cheap roll-up-the-sleeves, “let’s do this” moments though- Stone’s story unfolds as a fluid emotional trial that Bullock centers marvelously, despite what must have been a deeply discombobulating shoot. To put it plainly: she’s earned every kind word coming her way, and deserves as much credit as any cutting-edge camera rig or CG house for the film’s success. 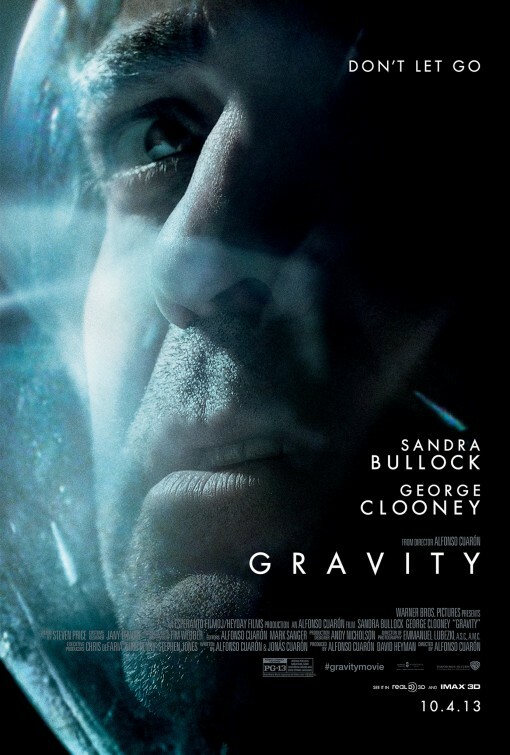 I dare not rob you of the details, but suffice to say that both emotionally and visually Gravity is a film driven by momentum or, rather, inertia. Its pace is defined by the properties of classical mechanics- the ones about equal and opposite reactions, objects in motion and such. It is a stunning, unprecedented thing to watch a film so focused on and guided by the beauty of motion and force. The film’s visual and rhythmic quality is difficult to describe, but you will definitely feel it if not actively notice it. Gravity is certainly the closest most of us will ever come to spending an hour and a half unconstrained by the eponymous force that binds us all to the ground. In this sense, Cuarón lives up to even the most extreme visual expectations that years of rumors and prior triumphs —Children Of Men in particular– have created. It’s certainly true the film is not perfect- the mileage on certain decisions and scenes may vary. It’s fair to say a moment or two stretches believability a step too far, but it will take some effort to dismissively scoff in the face of this one*. I don’t want to call Gravity a game-changer as much as I want to call it the first pure, complete success of a long-changed game. 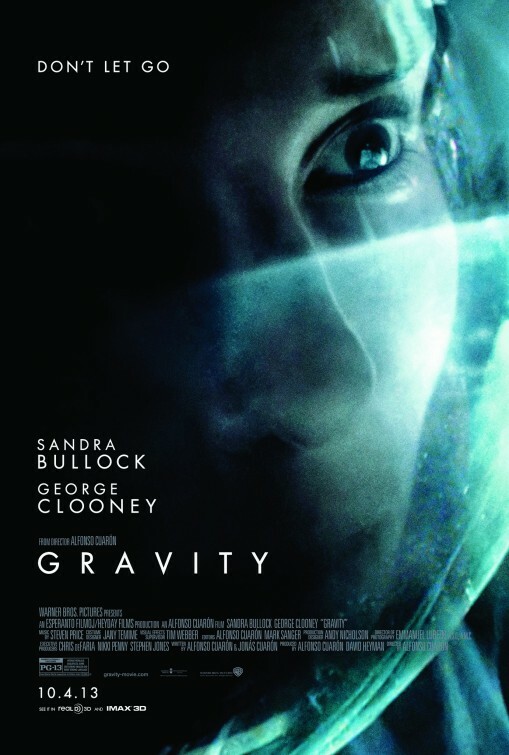 A sublime meeting of blockbuster scale, cutting-edge tech, awards-worthy performance, and resonant storytelling, Gravity delivers a long-sought gasp of air to movie fans waiting for someone to finally deliver on all of those sales pitches for post-pixel filmmaking. It’s appropriate that James Cameron is outspoken as the film’s biggest fan, since it’s truly the payoff to so many of his own promises. From the dreams inspired by Cameron’s early, Abyss-era work with CGI to the insane hype surrounding his activism for 3D, motion-capture filmmaking leading up to Avatar, this masterpiece from Cuarón pays off Cameron’s promises as his own films never have. Though it plays out on a planetary scale, Gravity is an intensely intimate story. Simultaneously restrained and aggressively visionary, the film is a precision rocket blasting blockbuster filmmaking past the gravitational pull what has come before. Gravity is amazing, perhaps the most groundbreaking blockbuster of the century. That’s bold praise, but this is a film that already lives among the stars. There’s no telling where we may go from here.